The debate in wine geek circles surrounding the concept of “natural wine” seems to be unending. From the uselessness of the term “natural” to hyperbolic accusations on both sides (chemical agriculture and slaves of Monsanto vs. hippies and producers of flawed wines), the arguments for and against “natural wine” have almost become trite. 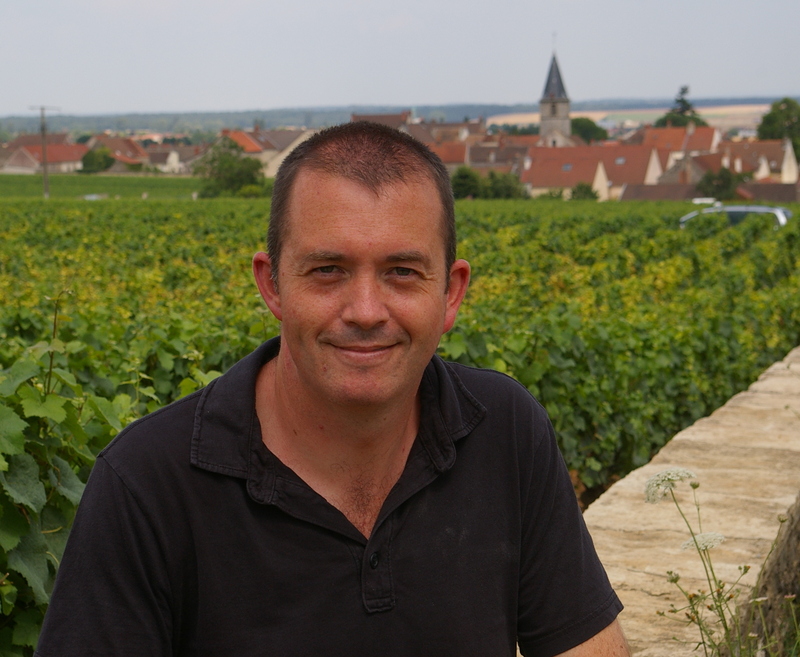 A new book by scientist-turned-wine writer Jamie Goode and Master of Wine Sam Harrop, seeks to change the tone of the debate while adding a voice of reason. Goode and Harrop argue that since winemaking is an inherently human effort, there is really no such thing as “natural” wine. Instead, they suggest that all wines exist along a continuum of “naturalness.” By coining the phrase “authentic wine,” the authors hope to get producers and consumers to rally behind wine that is the best expression of its place of origin. Often, they have concluded, wine that best expresses its terroir is made with little chemical and physical manipulation. The addition of inputs in both the vineyard and the cellar, they argue, are a symptom of the increasing production of an “international” style of wine. This, they claim, has come about through over-simplification of wine ratings by point scores from omniscient critics, price point pressures, and many other factors. It is a well-worn argument, but an ever more accurate one, and this trend presents two problems to the wine industry. First, the increasing homogeneity of wine reduces its ability to be a genuine expression of place. Second, the widespread and haphazard use of chemical fertilizers, pesticides, and herbicides is simply not sustainable for future generations. Throughout this work, Goode and Harrop present winegrowers and winemakers as guardians of both the expression of place (terroir) and the future of winemaking (sustainability). In addition, they aim to clarify the mechanisms of the common descriptors of wine known as “minerality”— probably not the actual smell of minerals—and and “goût de terroir”, that is, the phenomenon whereby wines grown in slate soils seem to taste of slate, for example. Properties of the soil such as drainage are more likely responsible for these flavors, rather than the direct uptake of “minerals” from the soil. 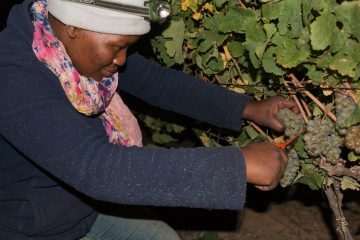 A central theme of the book is sustainability, and how producing wine sustainably is important to a wine’s “authenticity.” A chapter on organic and biodynamic viticulture explains some of the practices of these attempts at sustainability. It makes the all-too-forgotten point that even organic and biodynamic practitioners frequently require copper and sulfur applications in the vineyard, despite the “chemical” nature of these treatments. From there, the book discusses sustainability certification initiatives in regions across the globe and makes an insightful point about incentivizing sustainability. Sustainability is difficult to define, and labels are even more confusing to consumers when multiple certifications abound. In the end, achieving real sustainable viticulture requires not simply dogmatic rules about what chemicals are prohibited or ascending and descending moons but a thorough understanding of the biology and ecology of the vineyard and soil itself. Even for someone very familiar with the technologies of viticulture and winemaking, the book is insightful and educational. The real meat of the text lies in detailed and sometimes rather technical chapters on the chemical and physical methods winemakers can use to ameliorate (or, if you prefer more sinister language, manipulate) wines in the cellar, and the reasons winemakers would do such things. I enjoyed this book because, as a scientist, I revel in technical explanations and scientific jargon. However, for the wine novice, or even the enthusiast who knows little about the winemaking process, this book could be instructive to the point of being overwhelming. Unfortunately there is not much to be done about this, as concepts like oxidation/reduction, treating with sulfites (SO2), and even choice of packaging and closure contain such subtleties they are impossible to explain properly without extensive detail. Wine geeks will particularly like the sections on wine faults and wild versus cultured yeasts and their relevance to winemakers striving for “authentic” wines. Indeed, while extensive manipulation can make a wine less “authentic,” the introduction of flaws which mask the expression of terroir (for example, an abundance of Brettanomyces) by non-intervention can be equally damaging. 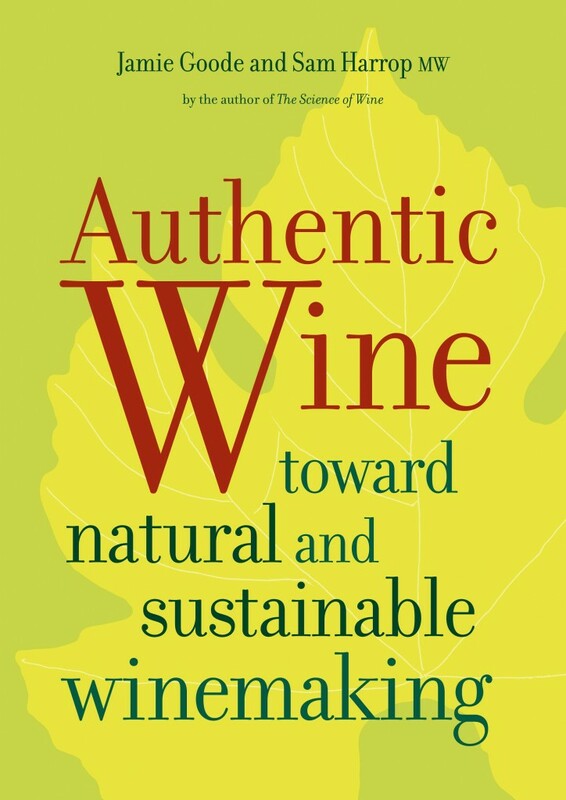 The book concludes with chapters on the carbon footprint of wine, and marketing authentic wine. Given our current understanding of anthropogenic climate change, it makes sense that for wineries, reducing carbon dioxide output goes hand in hand with sustainability. The authors outline ways that wineries are dealing with these issues while dipping a toe into the debate on the most appropriate wine bottle closures. The only thing I found lacking in this section was a more thorough and detailed discussion on the carbon output of tilling versus herbicide use for weed control. Often the tradeoff for eschewing herbicides is many more passes on the tractor and grape hoe, and tilling could release additional carbon dioxide sequestered in the soil. The language, written by both a PhD and an MW, does wax academic at times, but I would argue that the preciseness of the wording (especially in technical areas) is often essential. Goode and Harrop were wise to collaborate on this work, as the combination of the scientist and the Master of Wine offers a more complete perspective than one or the other. The text is also peppered with sparse but effective figures, and photos taken by Goode. Overall, the book does a masterful job of examining an entire spectrum of issues related to the natural wine movement. It takes care to look at many sides of each issue and does so rationally and thoughtfully. One could cynically say, then, that for these reasons, the book might not make a very big splash among wine consumers. In a culture that is drawn to extremes on contentious issues, we seem to prefer romanticism and polemics, while moderate voices that carefully consider the facts are often overlooked. 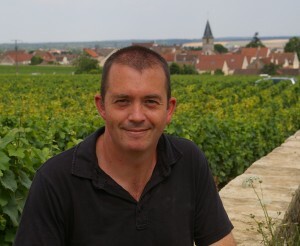 Indeed, one could draw a parallel to a point made in the book itself, that novel but questionably effective methods are given more attention than the hard work of growers and winemakers who use ever increasing scientific understanding to discover how to best reveal their terroirs in their wines. I hope the cynic in me is wrong and I hope many, many people will read this book. It will undoubtedly increase readers’ overall understanding of wine and can lead to more informed and productive discussions in the “authentic wine” debate. Authentic Wine: Toward Natural and Sustainable Winemaking by Jamie Goode and Sam Harrop MW will be released by University of California Press on September 15, 2011, but is available for pre-order on Amazon.com. 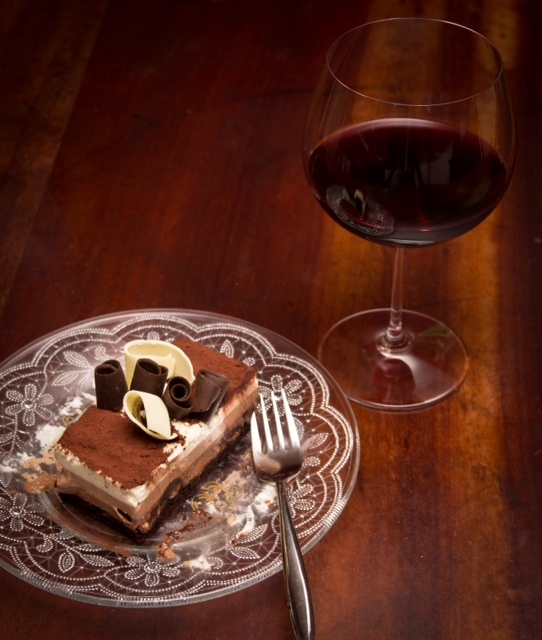 What are the aromatic, flavor, textural and structural hallmarks of authentic wine (as opposed to …. inauthentic wine)? According to the book, authentic wine is about best expressing a wine’s sense of place by finding a balance between over- and under-manipulation. HOW is that expressed in the wine – relative to how it is not expressed (or how the over- and under-manipulation are expressed)? How do I know it when I see it? If there is no concrete answer, then “authenticity” like “natural”, “biodynamic”, “soul” and Santa Claus is a BS concept that only helps to sell product. The point made in the first chapter is that (like almost everything in life) there is no discrete characterization. It’s not that a wine is “natural” or not or “authentic” or not. Wines lie on a continuum of “authenticity” depending on how well they express their terroirs. If the question you’re asking is “what defines a wine’s typicity and/or sense of place?” then it’s an interesting one. One philosophical point that I didn’t really get to address in the review is who defines whether a wine is typical of its region (or appellation, vineyard, particular block, etc.) 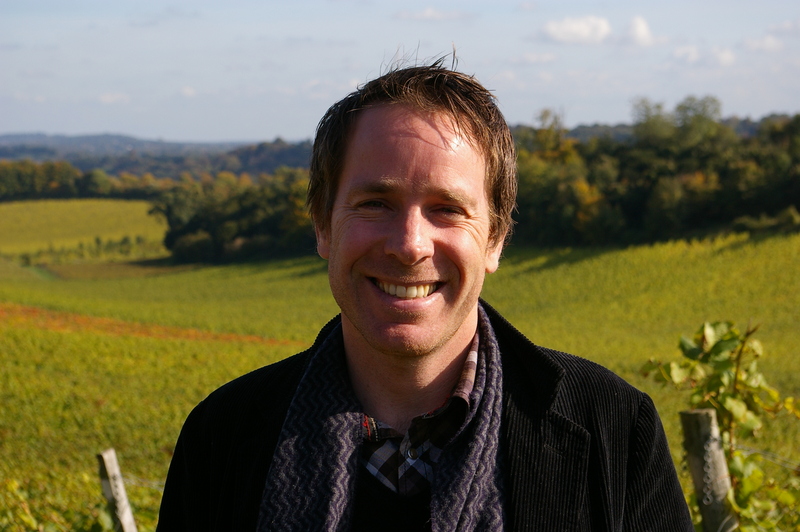 If winemakers should be the guardians of terroir, then Quis custodiet ipsos custodes? Who watches the watchers, indeed. Unless someone has the stones to say: “these sensory characteristics are the pure, unadulterated expression of site in this cultivar and these characteristics are not” we are back to a vague, nebulous marketing gimmick: “Our Acetaminophen is made in exactly the same way as the competitors’ and is held to the same external quality oversight, but we make it while we think happy thoughts – so it will help you faster, sooner, more effectively” – bull! How is “authentic” any better a term than “natural”? Neither possesses an exact definition, and both, as you stated, exist on a continuum. It would seem that “natural,” wines of little manipulation, are more easy to understand for consumers than “authentic” wines, which show the “best expression of its place of origin.” How many consumers understand terroir? I am sure it is much less than those who can see why megapurple might not be a good addition to their wines.